Originally released as a double cassette compilation on the US label Fallow Field and quickly sold out. "Korpsånd" is now available under the Tour de Garde coat of arms as a digipak compact disc version. Essential compilation containing 24 tracks (over 65 minutes) of Denmark's new black metal underground. Featuring Ærekær, Jordslået, Afkald, Blot & Bod, Fanebærer, Seidr, Gabestok, Grifla da la Secta, Lesion, Hollow Hand and Vaabnet. After "Varcolaci Rising", Drowning The Light is back on the path to the upcoming full-length entitled “Conquer and Serve” (the one originally planned after "From the Abyss"). This path however is not a silent one. 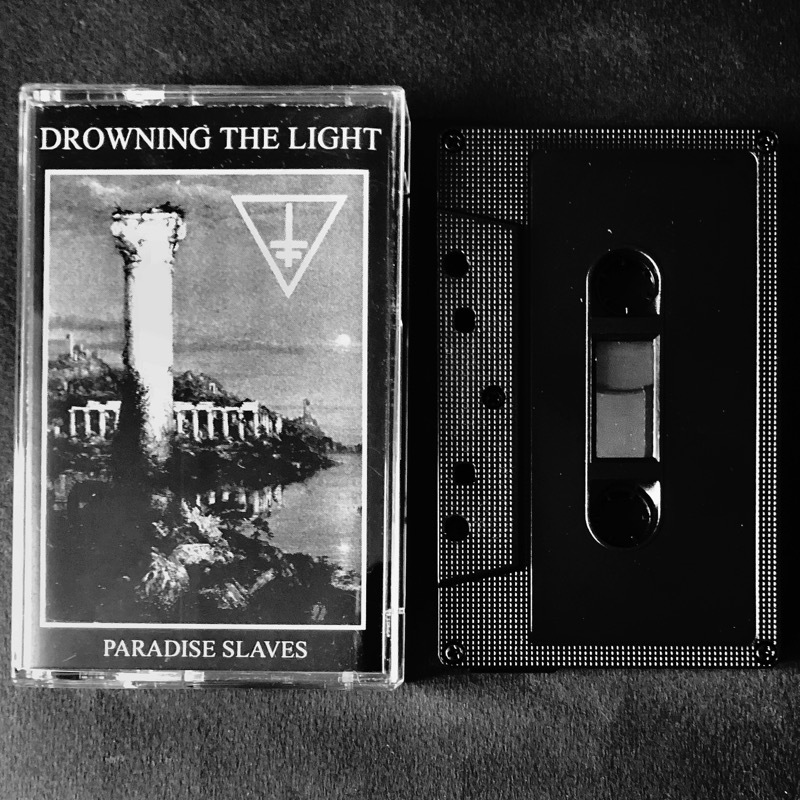 Thus the "Paradise Slaves" EP is recorded, delving into the weakness of mankind being slaves to their delusions of paradise, enslaved by feeble dogmas of corrosive and crumbling belief systems, as well as exploring the darker mindset that some serial killers have expressed - that those they kill will become their slaves in the afterlife. This EP is one of raw and melancholic black metal. Hylster is a rhythmic, chaotic, atmospheric, torturous, synth-driven raw audial evil entity that could be described as a mixture of Abruptum and Menace Ruine. 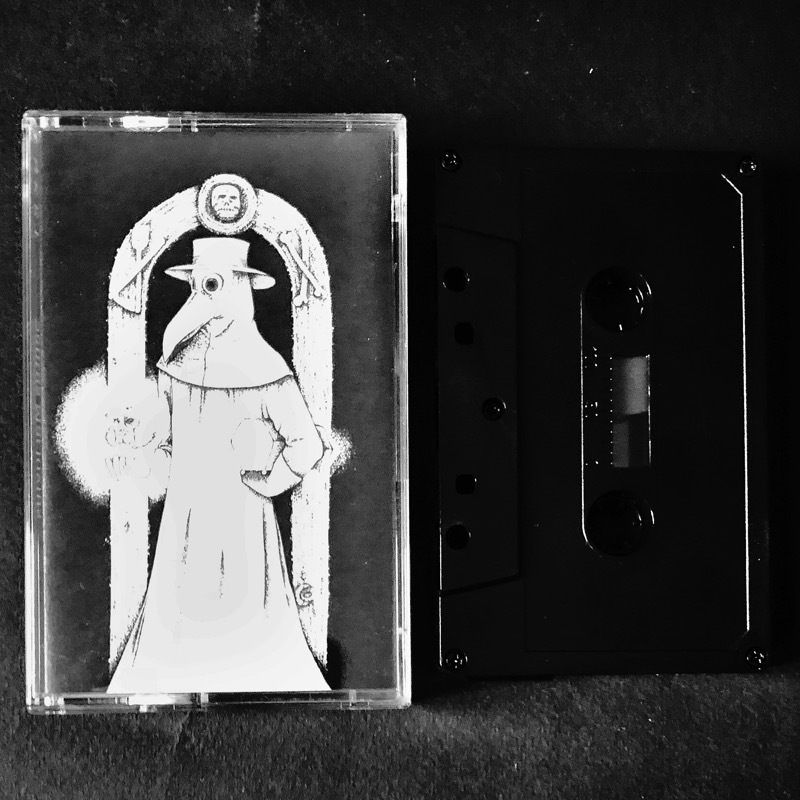 Hylster’s debut demo was recorded at Mayhem, Copenhagen and offers four tracks of evil created by two furious souls of the Korpsånd circle. 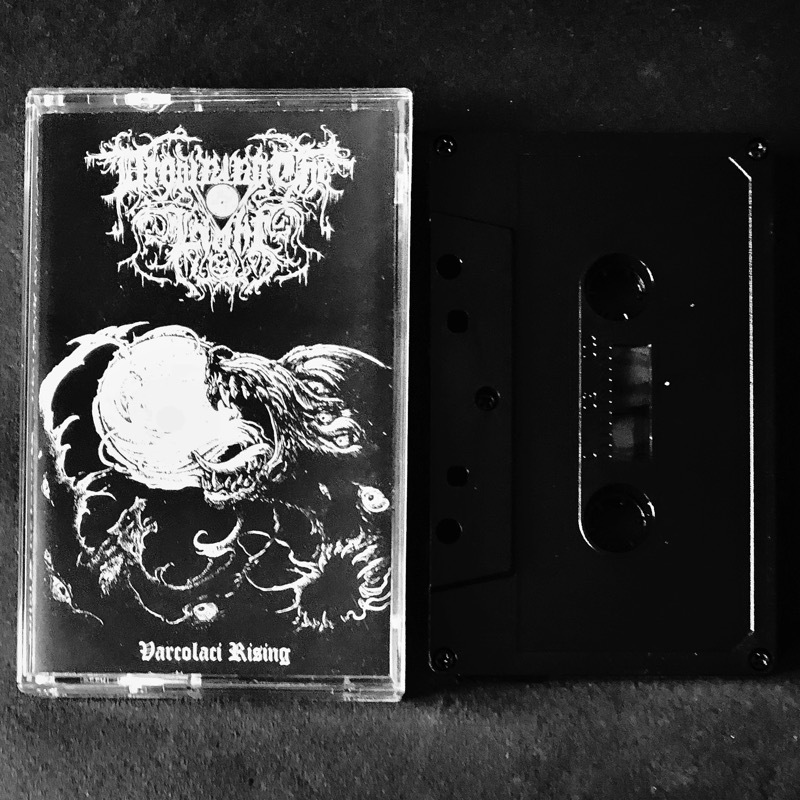 This cassette offers a fresh new interpretation of what experimental black metal can be, while staying loyal to true black metal standards. The best of both worlds. The second coming of N.K.R.T. under the Tour de Garde banner is a full length recording entitled "Sanctus Maclovius". An immersive, transcendental and utterly profound occult ambient journey that will make you forget your human existence. 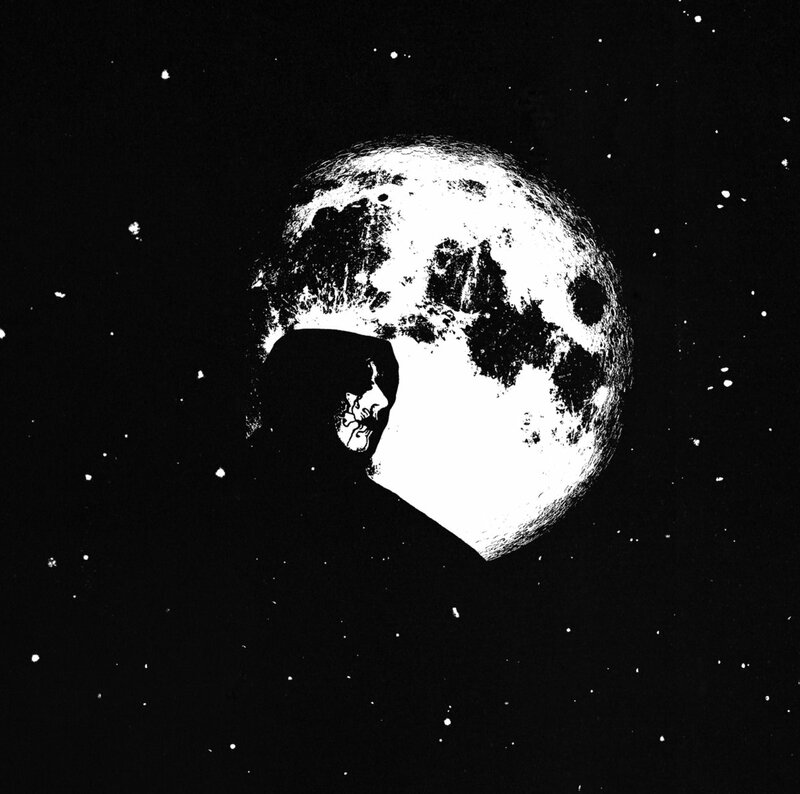 Using droning chants, malefic screams and ritualistic artefacts, Frater Stéphane's N.K.R.T. reaches to create unsurpassed atmosphere of extremely dark and sinister sounds. This is the perfect soundtrack to individual ritualistic ceremonies and meditation. 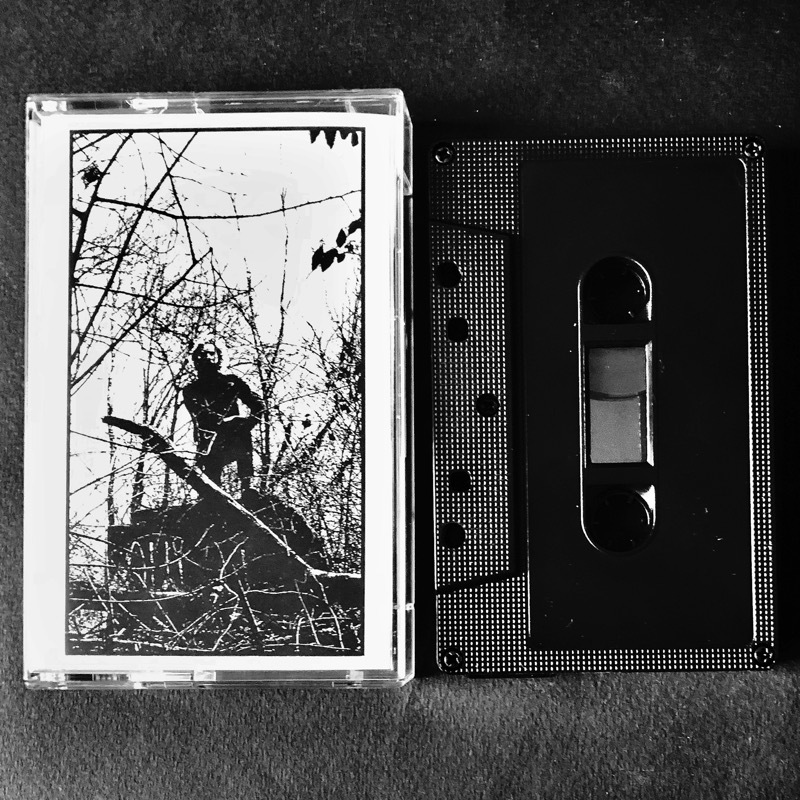 Old Tower is the creation of a mysterious entity from The Netherlands known as The Specter who, through the vessel of Old Tower, creates alluring yet meditative otherworldly lo-fi synth music that transports the listener to a long forgotten age of memory’s past. Old Tower started in the summer of 2015 with the first recordings being rather minimalistic and primitive. It was through the split with Orodruin when the concept of Old Tower and The Shadow Kingdom came into existence and since then, Old Tower has collected an alluring repertoire through split-cassette releases and cassette EPs that culminated with the first Old Tower full-length "The Rise Of The Specter" released early 2017. The whole concept surrounding Old Tower and The Shadow Kingdom is that they are both very personal projects. 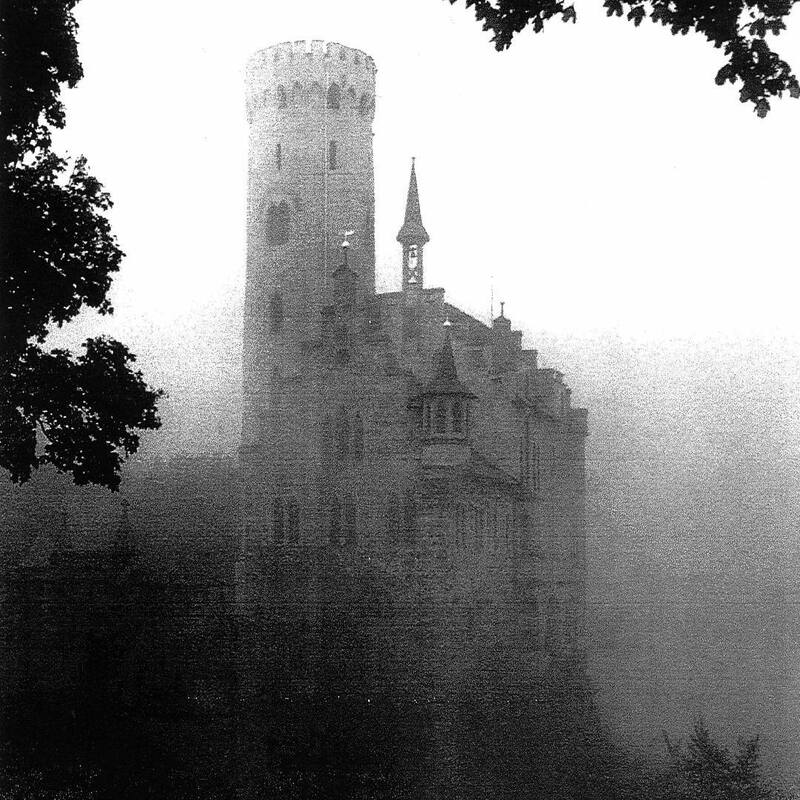 In an age where a lot of “dungeon synth” is just dull fantasy music without too much thought behind it, this is not the case with Old Tower. Old Tower is a reflection of The Specter’s personal inner world and experiences in real life. The Shadow Kingdom can be seen as a dimension, a metaphor for the world that everyone experiences, but cannot see or do not want to feel; the solitude and darkness that resides in us all. Old Tower is a resistance towards modernity and the shallow values which our society is built upon. The visions that are formed when consuming the sounds of Old Tower are that of mystical desolate landscapes, majestic ancient ruins, deep dark decrepit dungeons, murky chambers, and ghostly moonlit forests. Meditative audial spells dedicated to the eternal dark war. This vinyl edition comes on a beautiful 12"LP with insert. Black vinyl version. Cult demo of raw, proud and medieval sounding black metal from the fertile, dusty moors of Quebec is now available on vinyl for the first time. Sold out almost immediately after being revealed, this demo now fetches relatively high collector prices within the underground ranks - truly outstanding among the current Quebec elite. This new vinyl edition comes with a completely remastered sound for optimum sound quality without sacrificing the candle-lit cryptic atmosphere of the original release. This vinyl edition comes on a beautiful 12"LP with a black and white cover. All copies are on black vinyl and strictly limited to 300 copies. Curved Blade are back from the grave with a malicious hymn of malignant evil. “At the Bottom of the Hourglass" is a raw, atmospheric and sentencing black metal composition sending its curse upon humanity itself. 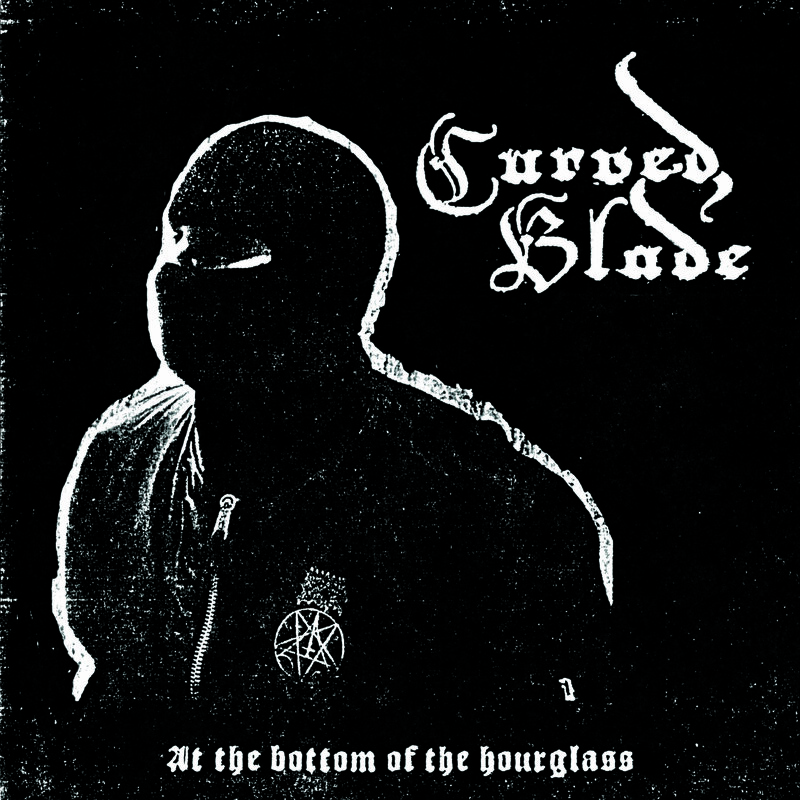 Curved Blade features members of Ash Pool, Bone Awl and Akitsa. Pâlemort is straight-forward, grim and hateful black metal from Quebec that previously released a successful demo a few months ago. This time around, Pâlemort presents an unrelenting and ferocious, yet glorious song of true black metal in its purest glory. This split 7"EP comes on black vinyl and is limited to 300 copies. Australia’s most inaccessible raw black metal trio teams up with Toronto's own Oi! induced black metal warriors on this split release of vile hatred. Carved Cross present a lengthy song of harsh and minimalistic, but memorable, utterly raw black metal from down under. With this song, they’ve created an unbearable, heavy and pounding atmosphere of fierce disgust. 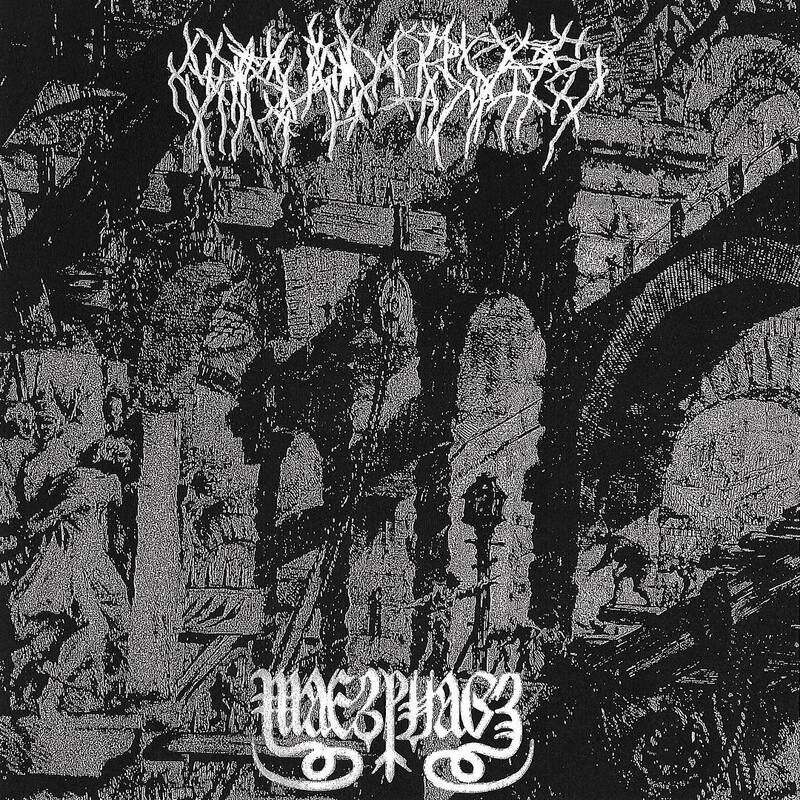 Malphas drop two songs of stomping black metal strength. After a short synth intro, you'll dive into the abrasive and freezing guitar sound that clashes with hateful vocals and warmarch-like drum patterns.